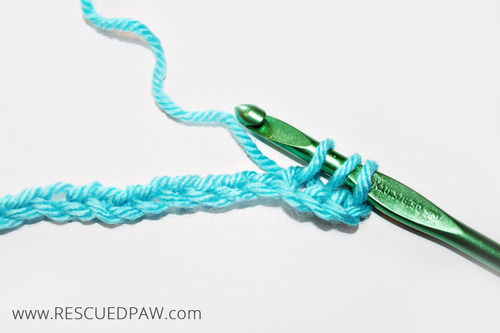 If you have landed here wondering how to do a double crochet stitch, then you are in the right place! 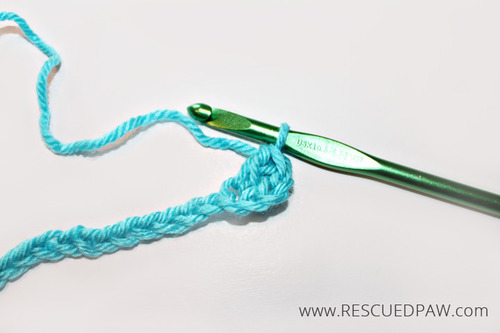 The double crochet stitch is one of the easiest stitches in crochet to learn! 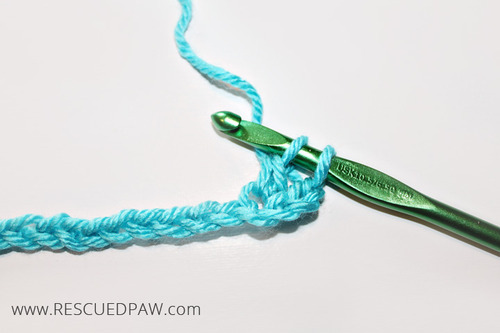 The double crochet stitch or sometimes DC when abbreviated is one of the must know basic stitches in my opinion when crocheting. 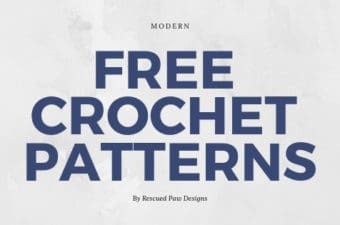 You will no doubt find your self coming back to this classic stitch time and time again because it works well in so many different crochet projects. 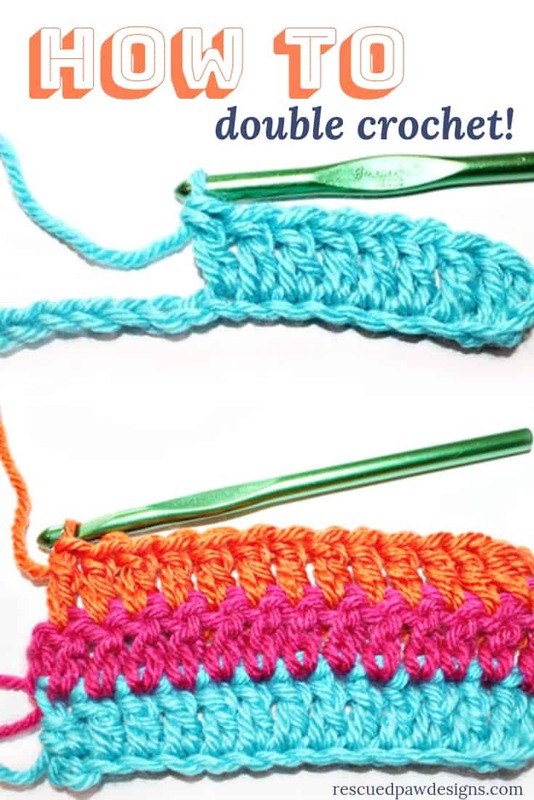 Below, I have a step by step picture tutorial on how to double crochet which is perfect for beginners. Let’s get started! 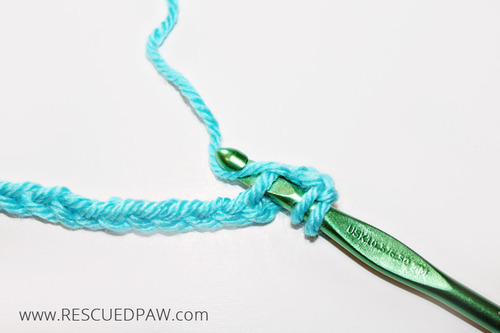 The Double Crochet Stitch is Easy to Learn! 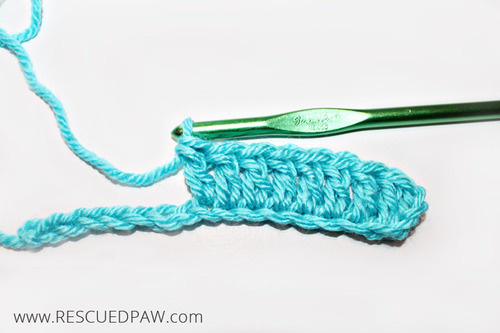 The double crochet stitch in crochet is simple to learn. 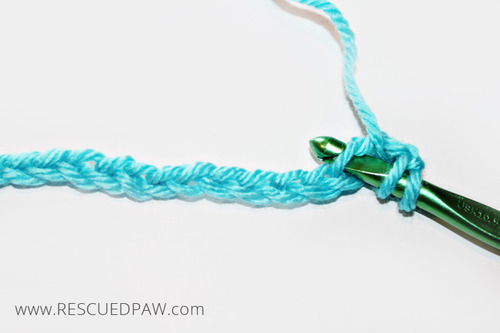 I promise once you get the hang of this easy crochet stitch it will become one of your favorites! 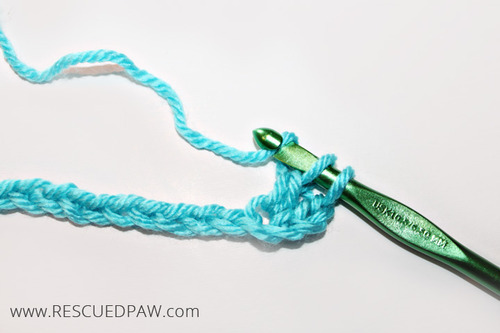 Once you have mastered the chain stitch, single crochet and the half double crochet the double crochet will give you 4 awesome stitches you can make most any crocheted pattern with. 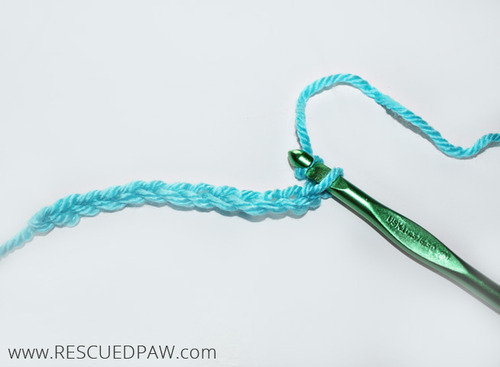 Now go grab your crochet hook, yarn and lets get started! 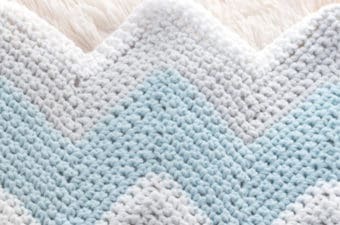 Make blankets and more with this crochet stitch! 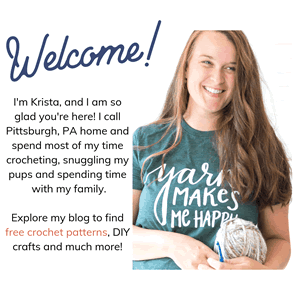 When you scroll down to take a look at this tutorial I will have you stitching the double crochet stitch like a professional in no time! I can’t wait to see all the projects you apply it to! 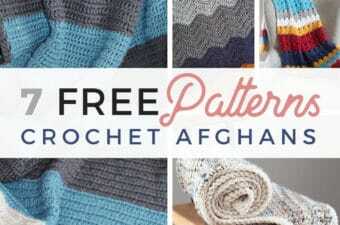 Be sure to check out some of my free crochet blanket patterns to make when you become a pro! Let’s get started! 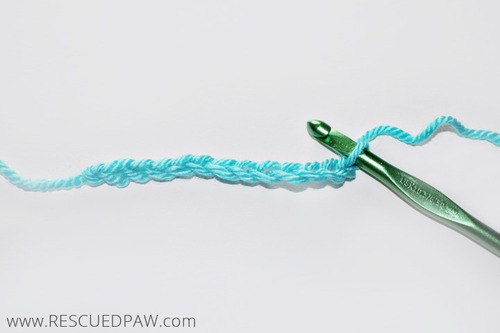 Size J 6 mm crochet hook. 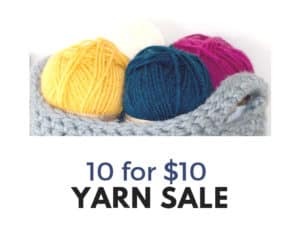 Or any yarn and corresponding hook. STEP 8: Yarn over and pull hook through remaining two loops!! STEP 9: You have completed a double crochet stitch! Now you can keep on crocheting double crochets to finish up your sample row, so you get a good feel for this stitch. To begin the second row, turn your work & chain three. 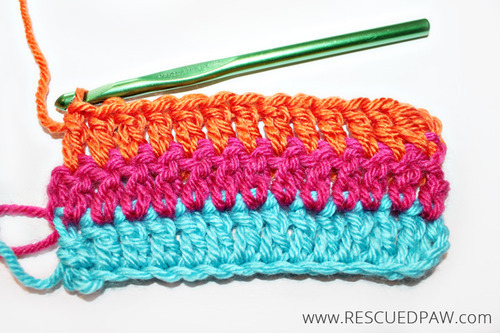 Learn how to change colors in crochet too! 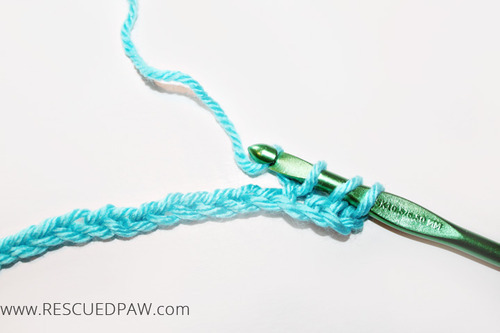 When you feel comfortable enough with this double crochet stitch you can change colors which is easy with the how to change colors in crochet tutorial that can be found here. If you prefer video tutorial be sure to follow along with me on YouTube.